Uchi Houston is located in the former Felix Mexican Restaurant building, a Houston landmark. It sits on the corner of Westheimer and Grant in a lively area of the city. Preserving the distinctive and iconic façade was a top priority that presented some challenges, but has been much-appreciated by locals. This is the third restaurant for Hai Hospitality and it combines the best elements of Uchi and Uchiko. Uchi’s signature red wallpaper makes an appearance in the dining room and warm woods and sconces, similar to the ones found at Uchiko, anchor the space. 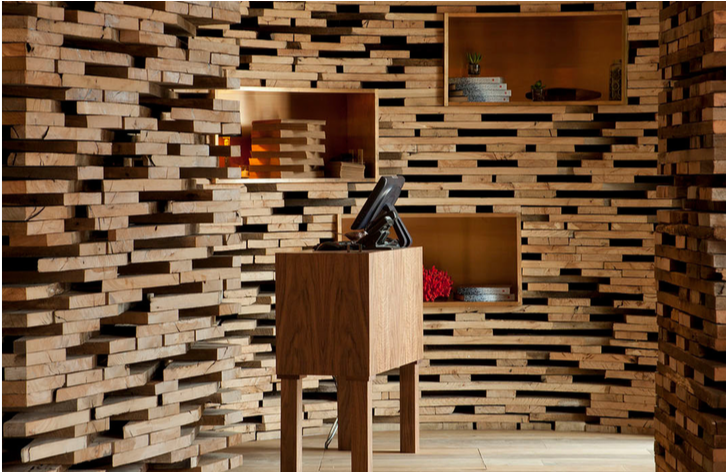 Within months of opening, Uchi Houston received top awards for its food, service and design and is the most coveted reservation in the city.